A very happy new year to one and all! 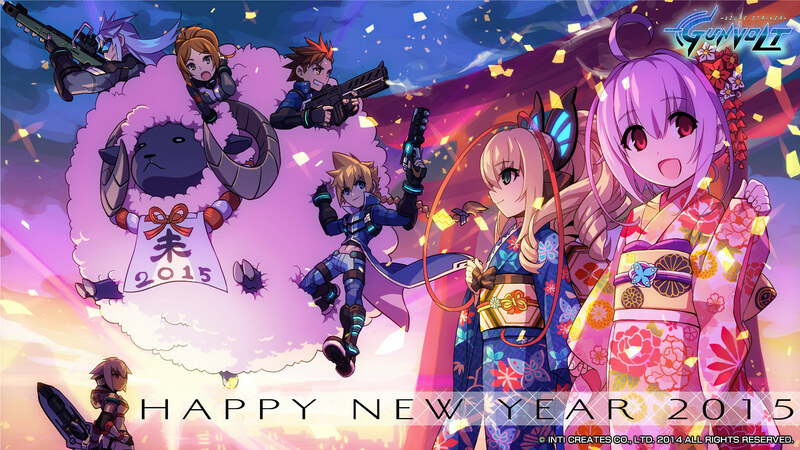 Last year was a very big year for us as a company with the release of our very first self-published game Azure Striker Gunvolt, and we are so excited to be back in the office after winter vacation to kick off 2015 as best as we can! 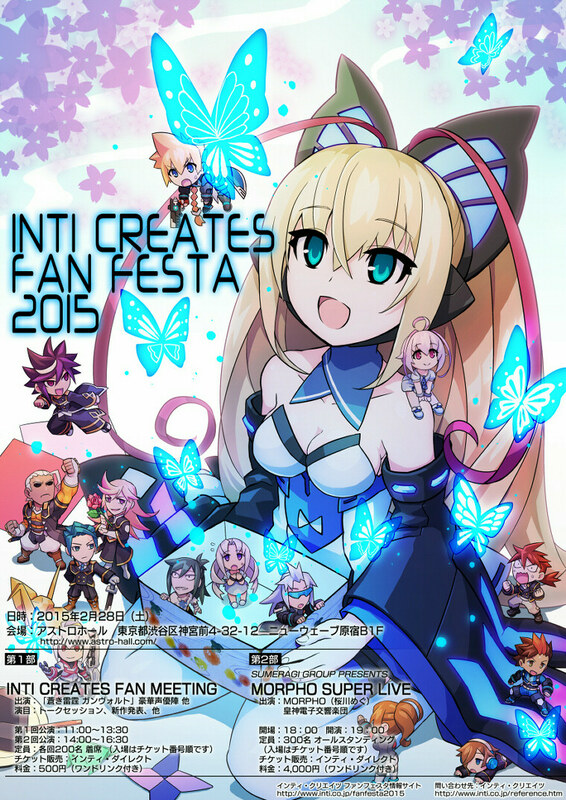 Merry Christmas from Inti Creates! As 2014 starts to draw to a close and we gear up to have an awesome Christmas, as has been tradition recently for us here at Inti Creates, we present to our fantastic fans not one, but two beautiful Gunvolt themed Christmas wallpapers!